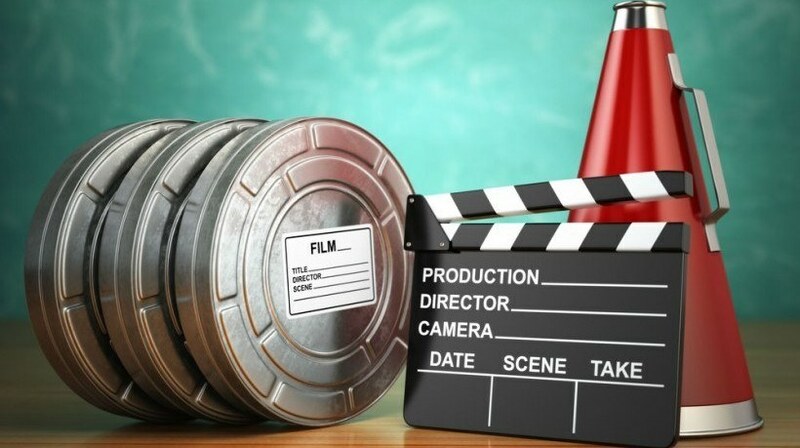 You don't have to be a movie producer to create top notch eLearning videos that wow your audience. As a matter of fact, the right tools can help you design online presentations that are powerful, profound, and perfectly polished. In this article, I'll share 7 tips to help you develop eLearning videos that are worthy of the silver screen. It's a common misconception that only highly experienced, tech-savvy professionals can produce amazing eLearning videos. In reality, anyone can design Hollywood style video content for their eLearning course with the correct tools, a bit of know-how, and some top tips on-hand. Just remember that a little creativity, ingenuity, and resourcefulness can go a long way, especially when it comes to creating high quality eLearning content. So, pull up the director’s chair and get ready to produce eLearning videos that may be coming soon to a theater near you. Choose an eLearning authoring tool with an expansive asset library. There are a myriad of eLearning authoring tools available today that feature impressive asset libraries. Their content ranges from pre-made interactions and images to music and characters. Thus, even if you don’t own a camera, professional audio equipment, or video editing software you still have the power to develop amazing eLearning videos for your audience. We need to be able to see the information in action if we want to apply it in the real world. For this very reason, it’s wise to show them how to complete a process or task instead of offering a text-based tutorial. Walk them through every step of the procedure and give them the opportunity to see how it’s done. This can also be used in online product training and compliance eLearning videos. For example, health and safety videos for online training can feature reenactments of what is acceptable and what will lead to workplace injury. Every member of your audience should be able to access the eLearning video, even those who are using mobile devices. This takes Flash-based content out of the running, since many smartphones cannot support this format. There are a variety of responsive design authoring tools which give you the ability to create a single eLearning video file that automatically adjusts to the screen size and resolution of the online learner’s device. Also, ensure that your audience has complete control over the audio controls, such as the volume, and playback. Remember, they may be watching the eLearning video in a public place. It’s a good idea to include subtitles or captions, as well, for those who are hearing impaired or are unable to listen to the audio. You don’t have to pack your eLearning video with dazzling cinematic effects to make it a success. In fact, just a few creative ideas can make a world of difference. Even unconventional fonts and pre-made interactions have the power to captivate your audience and highlight the key takeaways. There are also tools, such as GoAnimate and Powtoon, which allow you to create entertaining and educational animations, cartoons, and comic strips that can take your eLearning video to a whole new level. Put the spotlight on your presenter. If you are using a presenter in your eLearning video you should keep a few cinematography principles in mind. Firstly, pay attention to the lighting and be sure there aren’t shadows lurking behind them. Secondly, make certain that they are looking directly into the camera, unless they are interacting with another character. Both of these tips can pull the online learner into the eLearning experience and make them feel like they are taking part. Also, use actors and online presenters who are easy to understand and know how to pace themselves. They should not speed through the narrative or speak in accents that are difficult to comprehend. Keep your script simple and conversational. Find the appropriate narrative voice. Your narrator should not sound like a robot or use complicated jargon that confuses your audience. In fact, this is why research is the first step in the eLearning video development process. This offers you the opportunity to learn about their backgrounds, experience level, and learning needs. For example, if you discover that your audience is comprised mainly of new hires you can probably assume that they aren’t familiar with technical jargon. Another top tip is to make your eLearning script walk the fine line between conversational and professional. Read it to yourself before you hand it over to the online presenter and make sure it flows naturally. Look for sentences or words that seem out of place, like a phrase that may be too relaxed or too authoritative. Ideally, your online learners should be able to relate to the eLearning video, not feel as though they are being lectured. Know when less is more. The key to creating effective eLearning videos is knowing when enough is enough. Don’t go overboard by cluttering your eLearning video with text, graphics, and animations that distract your online learners. Keep in mind that sometimes less is more. Besides, the main focus of your presentation is to remain an interactive eLearning course and give learners the information they need in a fun and engaging way. This is what makes eLearning videos even better than other videos that are purely for entertainment. If your online learners can only remember the stunning special effects when the eLearning video is over, then you may want to rethink your eLearning strategy. Julia Roberts and Brad Pitt may not be the stars of your show, but that doesn’t mean your next eLearning video has to fall short of expectations. In fact, you can use these 7 tips to create eLearning videos, product demos, and tutorials that wow your audience and make them forget they are participating in an online training session. Want to learn more tips and tricks about how to produce an amazing eLearning video? Read the article Producing High Quality eLearning Videos: The Ultimate Guide to discover how to successfully deliver one of the most powerful communication media to your audience.